SINGAPORE – The life insurance industry posted a 3 per cent growth in weighted new business premiums to $4.2 billion for the whole of 2018, compared with 2017. While sales of annual premium products continue to show stable growth at 6 per cent to $2.78 billion, there was a 3 per cent dip in the uptake of single premium plans to $1.42 billion. 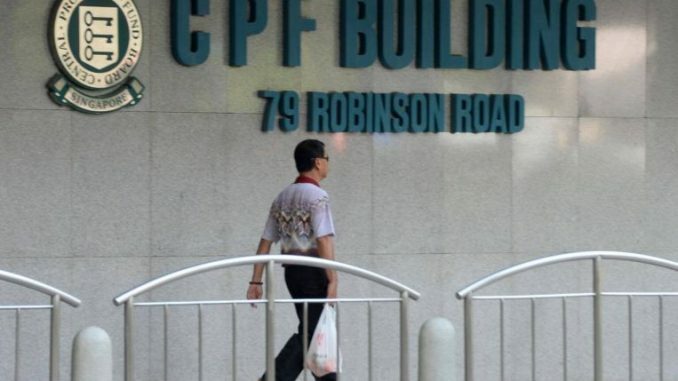 At a briefing on Tuesday (Feb 12), the Life Insurance Association Singapore (LIA) attributed the lacklustre sales of single premium plans to turbulent markets late last year, combined with the regulatory requirement to remove the sales charge for purchases of Central Provident Fund Investment Scheme (CPFIS) products, which include unit trusts and investment-linked insurance plans. Since October last year, sales charges for purchases of CPFIS products have been halved from 3 per cent to 1.5 per cent and will be removed entirely from Oct 1. These adjustments are to reduce the cost of investment for CPFIS members, as well as target the scheme at members with knowledge and time to invest, and are prepared to take investment risk. By policy count, the industry recorded a significant increase of 48 per cent in the uptake of retirement policies designed to provide regular payouts to policyholders during their retirement years. Retirement policies accounted for about 8 per cent ($338 million) of total weighted premiums for the year, up from 5 per cent for 2017. There was a 7 per cent growth in total sum assured for new business to nearly $140 billion last year. Integrated Shield Plans (IPs) and IP rider premiums accounted for 92 per cent ($388.3 million) of total new business premiums for individual health insurance, which totalled $424 million for 2018. The remaining 8 per cent ($35.7 million) came from uptake of other medical plans and riders. An additional 64,000 Singaporeans and permanent residents were covered by IPs, as at the end of December 2018. There are now 2.73 million lives – approximately 68 per cent of Singapore residents – with IP coverage to complement coverage provided under MediShield Life. Most IP insurers are bearing underwriting losses in their IP portfolio, which has led to rising premiums of IP and IP riders in recent years. Mr Teow cautioned that this premium trend may continue for another two to three years before initiatives, such as a pre-authorisation medical panel and schedule of medical fees, can take effect. Come April, insurers must launch new IP riders where the co-payment benefit is 5 per cent (compared with the current 10 per cent), and there is a co-payment cap of $3,000 per policy year.